» Crazy – but what a sound! Crazy – but what a sound! For some time now I have being trying to sell the equipment from my studio. I was hoping to keep it all together and sell it as a plug and play small studio but no such buyer presented themselves. So I was getting ready to break it up into its component parts and sell it that way when a crazy idea crossed my mind. 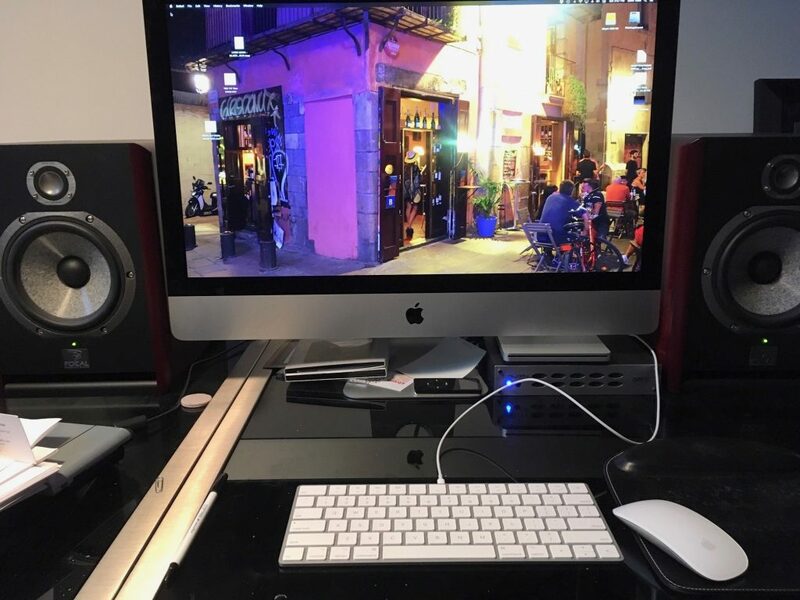 Why not take my rather pricey Focal monitors and use them as computer speakers? I got the necessary 3.5mm mini jacket to split XLR cable and gave it a try. Oh my! I now have the most unnecessarily expensive but best sounding computer speakers ever! I consider the Focal monitors to have paid for themselves many times over in the studio so my lavish experiment can be forgiven. In my mind at least. Now I just want to sit here listening to my favorite songs for hours. I started with Cross The Green Mountain by Dylan…what a breathtaking experience. Eight minutes of some of the best singing he’s ever put on record.